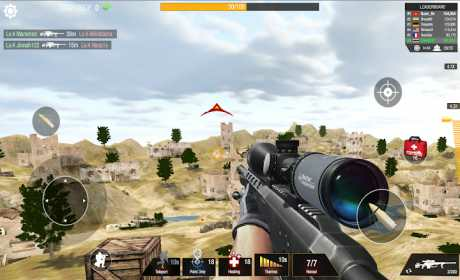 Get ready for an epic multiplayer SNIPER 3D shooting game! Bullet Strike: Sniper is especially for you ! Unlock a variety of legendary sniper guns with dozen of attachments! Defeat other players and reach the top of the leaderboards! Bullet Strike: Sniper Battlegrounds brings you a unique, challenging survival experience when you fight with snipers from all over the world. Enter the arena, become sniper warrior and enjoy every battle in this premier mobile experience ! To win our sniper game battles, your mission is to find all your enemies in sniper arena, who are maybe far away targets, moving targets or hiding targets. Although your targets are hidden behind walls or obstacles, you totally have the opportunity to defeat them with your weapons equipped with the powerful piercing ability. The farther your target is, the higher achievements you get. BSS is the most exciting sniper arena in which one shot is actually one challenge ! Not only is it a sniper shooting game, this sniper arena is very great for you to practice best skills with the best sniper rifles ever. 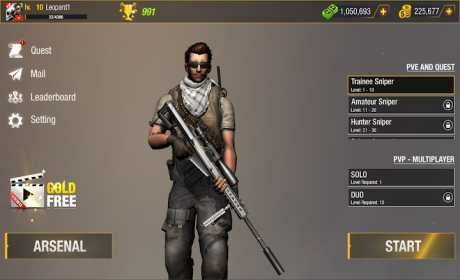 You will become a true sniper warrior with the most advanced weapons, endurable armor in sniper arena of BSS. 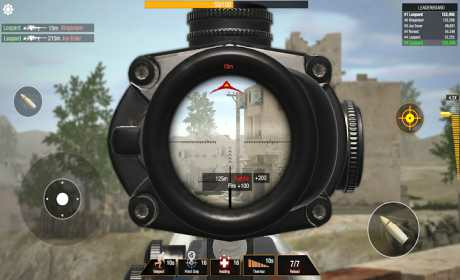 We are sure that this is the best SNIPER GAME multiplayer for mobile now !